Silvanna Court is an 83 bedroom residential care home situated in Wickford, Essex. This spacious home provides expert care for older people, including those living with dementia. Please be advised that Silvanna Court is benefiting from an upgrade project including a newly decorated and furnished reception area, a brand new cafe, and a cinema room for residents to enjoy. We apologise for any inconveniences caused during these improvements. We strive to create a homely environment at Silvanna Court and we provide all the comforts of good food, good company and friendly staff, in a calm and restful atmosphere. All of the bedrooms are beautifully furnished with en-suite bathroom facilities and the home has excellent amenities, including comfortable lounges in which residents can relax. We also have a dedicated area for dementia care, designed to enable those we care for to maintain their independence in a safe environment. Our activity programme ensures that residents remain stimulated and engaged and our activity coordinators take into account resident’s hobbies, needs and interests. The activities at Silvanna Court are varied and, alongside enjoying themselves, residents can receive a wide range of health and fitness benefits from taking part. In addition, for those who like the outdoors, there is a secure courtyard where residents can sit and chat and enjoy the summer with pleasant potted plants and hanging baskets. This year there is also a mini allotment for residents to grow their own produce, a welcome addition for residents to become involved in and then to enjoy the ultimate in home grown vegetables. Silvanna Court also hosts the Wickford area Alzheimer’s Society support group, which is designed to help local relatives, friends and carers of people with any form of dementia. The support group is open to anyone who needs support, advice or information on dementia related matters, be they emotional, medical, and financial or just need of a sympathetic ear. At Silvanna Court, our aim is to practise ‘person centred’ care for all our residents, and our trained staff are available 24 hours a day to meet your needs. 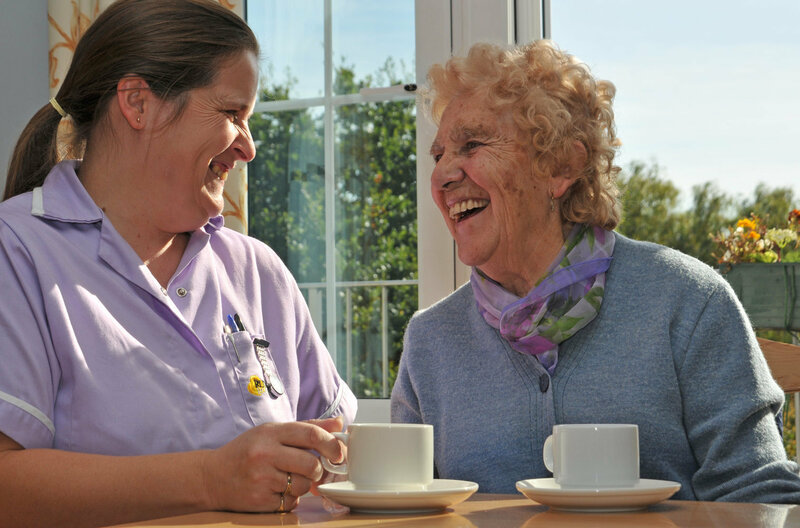 Choosing a care home can be an intimidating process, so why not come and visit us at Silvanna Court? We wish to understand everything that is important to you, so on your visit we will discuss your needs and how best we can meet them, as well as giving you the opportunity to look around and ask questions. If you are unable to visit, we will arrange for a staff member to call on you at your home or other place of your choosing at your convenience. We hope to see you soon! "My mother has been a resident at Silvanna Court for 2 years and in that time has received the best care from the staff that anyone could wish for. Her room is always clean and fresh and the food is of top quality. All the staff work incredibly hard, sometimes in challenging situations, but are always cheerful, caring and have time to chat. It is very good to know that my mother is in a safe and caring environment."